Note: This blog post is part of a series of posts grouped broadly along our three key strategic themes dealing with the future of health, work and learning, and energy. As our society is disrupted by increased globalization and technological change, we believe that entrepreneurship is the key to leading this change and building a better future: a future that includes greater access to quality healthcare, better ways of working and learning, and cleaner, more efficient ways of powering our homes and cities. The quality of our future will be defined by our ability to innovate and to lead change rather than simply respond to it. This is the work we support at MaRS. Here’s a little-known industry secret: global edtech financing hit more than a half-billion dollars in the first quarter of 2014—the most significant investment period in the sector’s history. That’s an extra $559 million going directly to edtech companies that are changing the face of education. It’s come at a critical time. Around the world, an estimated 75 million youth are unemployed. As more graduates come out of the current education system questioning whether they are equipped to be competitive in the job market, the future of learning matters now more than ever. In this talk, Aron Solomon, MaRS’ senior advisor of education technology, identifies the challenges and opportunities that our education system is currently facing. Innovation, he says, lies in making the system learner centred, technology enabled, teacher based and global. Edupreneurs are helping to lead this change, developing everything from tutoring marketplaces to curriculum-aligned games that empower students to learn and think differently. MaRS’ edtech cluster alone is home to over 190 ventures, making it one of the largest and deepest clusters of education innovation anywhere in the world. 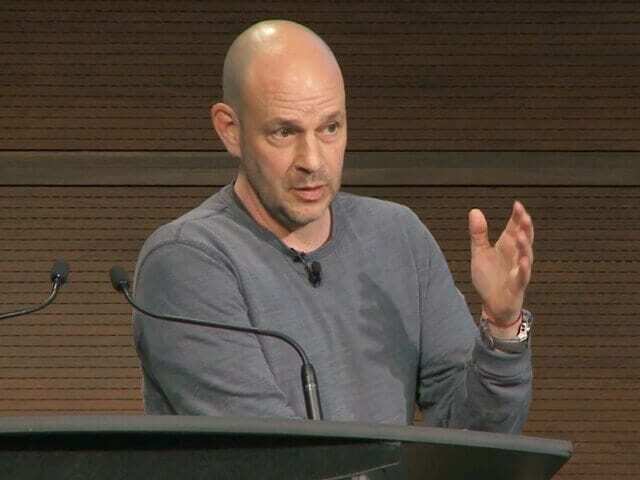 Watch highlights from Aron’s talk below to learn more about the future of education. Watch the full presentation here.